One of the five sculptures at their new home at Corazón del Pueblo. Corazón del Pueblo, Cultural and Creative Arts Center of the Santa Maria Valley recently celebrated the grand opening at their 124 W. Main St. Suite E. location. 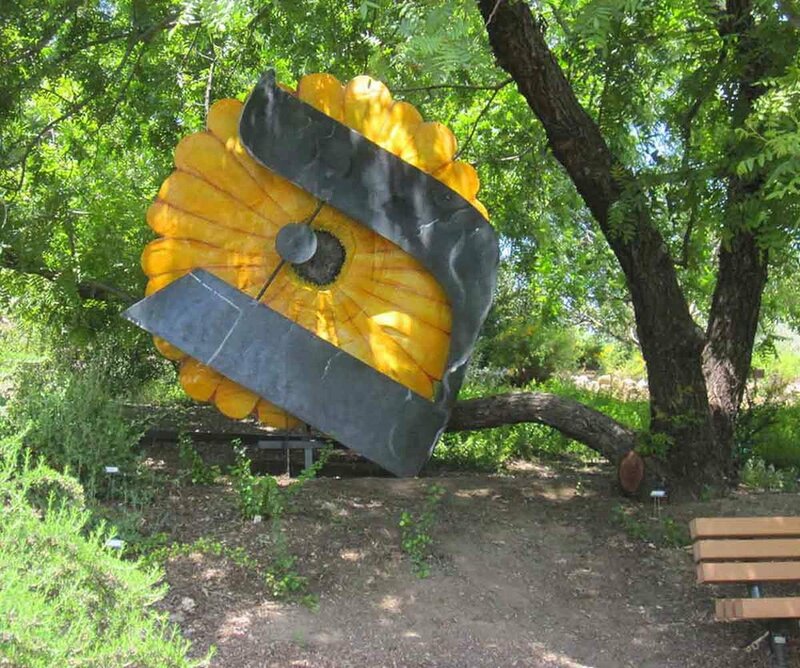 Five of Morris B. Squire's sculptures now have a new home in the Corazón del Pueblo garden. On Sunday March 31, Corazón del Pueblo, Cultural and Creative Arts Center of the Santa Maria Valley, will be celebrating their grand opening at their 124 W. Main St. Suite E. location, with a day of live music, dance, poetry, and visual art. The inaugural ceremony will take place at 12:15pm with a welcoming and ribbon cutting from the Chamber of Commerce to commemorate the grand opening of Corazón del Pueblo’s mission to promote creative expression in the performing, visual, and literary arts, and to celebrate community and culture. “We are excited to showcase the rich history of the Santa Maria Valley, while also making its people aware of the lasting impact Cesar Chavez made in the Central Coast,” says Director, Alma Hernandez. The inaugural ceremony will be followed by live performances by local bands Gator Jam and Suave, poetry readings by Jeremiah Frederick Hernandez and Fong Tran, a live mural painting by students from the POR VIDA program, and a traveling collection of photos taken by Manuel Echavarria titled, “Viva La Causa!”, an exhibit commemorating the struggles and triumphs of Central Coast laborers as they fought for better pay and working conditions. The exhibit is made possible by the Robert E. Kennedy Library, Cal Poly San Luis Obispo, and will be on display for the public from March 31 to April 21, 2019. In addition to the grand opening, Corazón del Pueblo will unveil the Squire Garden Sculptures created by Morris B. Squire, an American psychologist and hospital administrator, as well as a fine artist and sculptor whose career spanned over 50 years. In 2009, Squire founded the Morris B. Squire Foundation, a non-profit dedicated to fostering creative empowerment through the arts. The exhibit will be on loan and on display at the Corazón del Pueblo location, 124 W. Main St. Suite E. in Santa Maria.